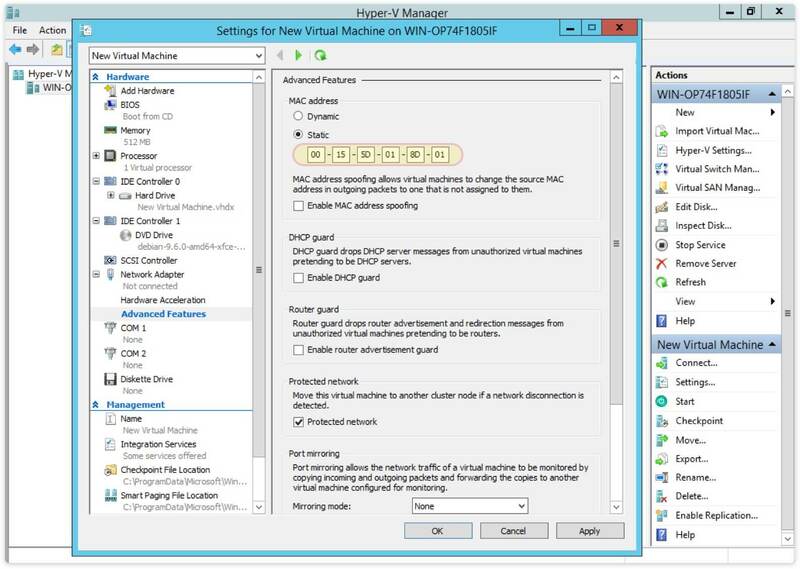 Only one of them is known to be used by the Hyper-V Virtual Machines – 00:15:5d. 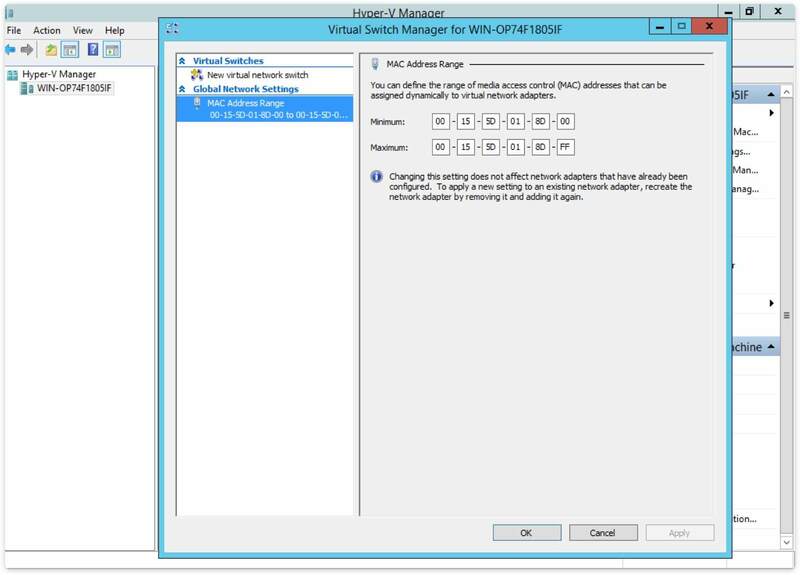 For dynamic allocation, MAC addresses' range could be set in Hyper-V preferences. The last octet (ff) is randomly generated from the range 0x0 – 0xFF. How to find my MAC address? What is a MA-L, MA-M, MA-S assignment?